LES CAYES, Haiti (AP) — Two days after Hurricane Matthew rampaged across Haiti’s remote southwestern peninsula, authorities and aid workers still lack a clear picture of what they fear is the country’s biggest disaster in years. Convoys and helicopters have begun venturing to marooned corners of the country to assess the damage and determine how to help thousands of people who lost homes, livestock and crops. Civil protection officials said they still don’t have any information on potential deaths and injuries in the southern department of Grand-Anse, one of the hardest hit. Cenita Leconte, age 75, was thankful she made it through the terrifying ordeal with her life. “We’ve lost everything we own,” she told The Associated Press as neighbors poked through wreckage hoping to find at least some of their meager possessions. Capt. Stephen Russell, head of the Bahamas National Emergency Management Authority says the capital Nassau is now receiving the full brunt of Hurricane Matthew. “We are experiencing the brunt of the hurricane force winds now so we just have to wait and see how we fare over the next five or six hours,” he told The Associated Press. Those in Nassau without generators are without power because authorities shut down the power when winds reach 40 mph to protect the grid. The major tourist hotels are on generator power. 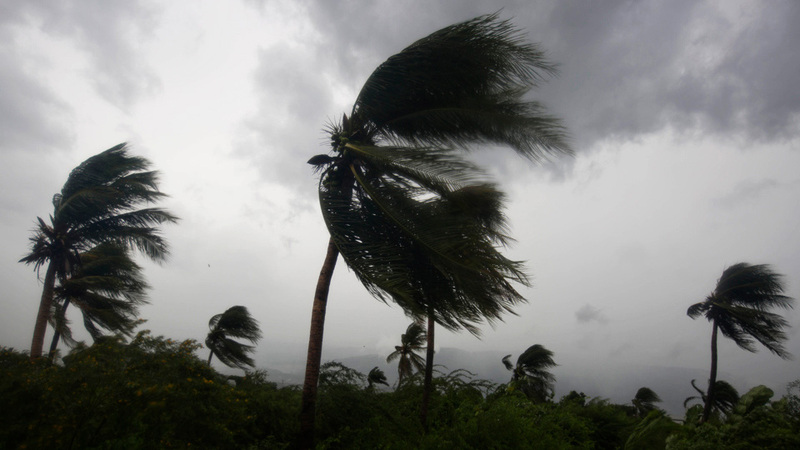 The National Hurricane Center in Miami said the storm’s maximum sustained winds had strengthened to 140 mph as of late Thursday morning and were expected to maintain their strength as the storm approaches the Florida coast. The storm was expected to start affecting Florida by early afternoon Thursday. Gov. Rick Scott is warning Florida residents living in evacuation zones to “get out.” He said anyone living in low-lying areas or on barrier islands should “evacuate, evacuate, evacuate.” He says tolls have been lifted on all roadways to help make evacuations easier. Scott says more than 1.5 million people are living in evacuation zones. Gov. Nathan Deal has ordered mandatory evacuations along the entire Georgia coast as the National Hurricane Center placed all 100 miles of coastal Georgia under a hurricane warning Thursday. The Island Packet reported that Palmetto Breeze Transit workers were helping tell Beaufort County’s residents where they could go to be evacuated ahead of Hurricane Matthew, what shelters they’d be heading to, who they could call to hang on to their dog or cat, and what would happen if they missed the bus.